One must have heard the famous saying "Life’s Tragedy Is That We Get Old Too Soon And Wise Too Late". One wonders how this saying came into existence. The reason could be something to do with retirement. Why Worry Now? Let Retirement Come And Then We Will Worry About It? Does One Search For An Umbrella Once It Starts Raining. No definitely not. In the same way the retirement plan needs to be made well in advance of when it is needed. An Annuity is a tool which can be used for one to achieve ones retirement goals. The breakthroughs achieved in the field of medical science have led to a higher life expectancy among the average Indian. This has led to the necessity of an increase in finance as a longer lifespan means a higher amount of funds to tide over high rates of inflation in ones elderly years. There is a famous saying "One Misses 100% Of The Shots One Doesn’t Take". So Why Wait For The Right Time To Take That Annuity Plan? In life there is never a right time. The Right Time Is Now. So What Is An Annuity Plan? Insurance Companies offer various pension plans or retirement plans to individuals for their retirement. Some of the retirement plans offered by insurance companies are known as annuity plans. Under an annuity plan one initially invests a lump sum amount or makes a series of annual payments known as a premium for a fixed period of time. On the maturity of the policy an investor receives a sum of money either on an annual basis or a monthly or a half yearly basis for a certain number of years. This basically means that one pays a premium for a fixed period of time. These amounts appreciate and accumulate with time until the maturity date. An annuity plan then makes a series of payouts to the policy holder for as long as he lives. The payments cease once the policyholder dies. This means an annuity plan takes a bet on the lifespan of the policy holder .The longer one lives greater are the benefits of that annuity plan. It is better to take a policy which gives one a fixed sum of money for a certain number of years as one can easily recover the principle amount paid through these plans. Under an immediate annuity plan the policy holder pays a lump sum amount as a premium to the insurance Company. The Company starts making the payouts to the policyholder almost immediately. This may be within a month or within a year after the insurance policy is purchased. The payouts may be made based on the category of immediate annuity plan. Let us consider Mrs Sonia purchases an Annuity Certain policy by paying a lump sum amount of money of INR 10 Lakhs .The insurance Company starts making the payouts to Mrs Sonia within the period of a month. She gets INR 7500 per month or an annual payout of INR 90000. The payout is INR 13.5 Lakhs for a period of 15 years inclusive of interest in the annuity certain policy. Let us consider Mr Shah 53 Years of age takes up a Guaranteed Period Annuity Plan where Mr Shah pays a lump sum amount as a premium. The insurance Company starts paying out the amount for a fixed period of time almost immediately. Mr Shah has taken the policy for a period of 8 Years. So What Happens If Mr Shah Dies After 4 Years? The Insurance Company makes the fixed payments to Mr Shah for the 4 Years he was alive and the series of fixed payouts continues for another 4 years ,the payouts being made to Mr Shah’s nominee. The rate of return offered is in the range of 7-8%. What Is A Life Annuity Immediate Plan? Under a Life Annuity Plan the policy holder gets regular payouts throughout his life. This policy ceases the payouts on the death of the policy holder and no payments are made even to the nominee. No medical examination is required for this policy. The minimum entry age of the policy holder is 30-32 Years and the maximum age is 80-85 Years. The minimum entry amount is INR 1-1.5 Lakhs per annum. There is no upper limit to the amounts that can be invested in these policies. One also has heard of an Annuity plan with Return Of Purchase Price .The payouts are made to the policyholder and on his death the remaining amount is paid to the nominee. One also must have heard of the Life Annuity Without Return Of Purchase Price where the policy holder gets regular payouts only until his death. The rate of return is around 7% for an entry age of 40 Years and can go as high as 11-12% for an entry age of 60 Years. This policy is suitable for a person who has no dependents. One also has heard of the Joint Life Last Survivor Annuity With 50% Pension For Spouse where on the death of the policy holder 50% of the payout amount is paid to his spouse until her death. Similarly one has Joint Life Last Survivor Annuity With 100% Pension For Spouse where on the death of the policy holder his/her spouse gets 100% of the payout amount until death. No tax needs to be paid on the return earned on the principal amounts. What Is The Deferred Annuity Plan? In a deferred annuity plan the policy holder has to build a corpus which is used to purchase an annuity plan. This is done through a series of regular premium payments to the insurance Company up to a particular point of time. On maturity the accumulated money is used to purchase an annuity plan. The deferred annuity begins with the payment of the first premium in a series of premium payments or the lump sum amount paid. On maturity one can choose between a fixed payout across ones entire lifetime or for a specified time period. Deferred annuity plans are tax deferred. Until payouts are received by the policy holder no tax is applicable. What is Meant By A Fixed Annuity Plan? This is mainly divided into two parts. The fixed immediate annuity plan and the fixed deferred annuity plan. The investment corpus given to you to purchase an annuity plan will be made in fixed income securities or debt securities. This provides a guaranteed steady income irrespective of the market conditions as the financial instruments in which the corpus is invested are extremely safe. What is Meant By A Variable Annuity Plan? Under these kinds of plans the investment corpus paid out to you on retirement is made in market linked securities mainly equity instruments. These are considered extremely risky but give high rate of returns. Under an immediate annuity variable plan the returns will fluctuate with the conditions in the market which makes it impossible to guarantee a fixed monthly rate of return. Some months the payout of these plans will be high and in some months the payouts will be low. What Are The Tax Deductions Under Section 80 CCC ? Here under this section an individual pays or deposits an amount out of his income chargeable towards tax for the premium of an annuity insurance policy for receiving pension from the fund. He shall be allowed a deduction of an amount equivalent to the premium paid or INR 1 Lakh whichever is less. So What Is A With Profit Annuity Plan? Under this kind of annuity plan the return on investments of the annuity plan depend on the performance of the insurance Company. When returns are higher than anticipated in the annuity plan the insurance Company retains part of the returns which are paid back to the policy holder during periods of lower returns. In these kinds of policies one can choose an anticipated bonus rate which could be around 4%.If the Company declares a higher bonus say 6% then one gets a higher income and if the Company declares 3% bonus then one gets a lower income. So What Is A Unit Linked Annuity Plan? Under these kinds of annuity plans the corpus is invested in a unit linked pension plan. The charges are deducted from unit linked pension plans in a similar way to a Unit linked insurance plan. These plans have a minimum annual premium of INR 10000 and charges are deducted from them. According to new rules a compulsory life cover or a health cover needs to be provided and a minimum guaranteed amount of 4.5% indexed to the RBI reverse repo rate. One has to pay premiums for about 10-15 years and one will get a third of the corpus on retirement. The remaining amount is locked in a compulsory annuity plan which will pay you sums of money on a monthly, quarterly or an annual basis. These policies have a compulsory lock in period of 5 years. These policies have an entry age of 25-70 Years and an equity exposure which can range from 60-100%. Under these Unit Linked Pension Plans one third of your retirement corpus is given to you as a lump sum and two third of the amount is locked in a compulsory annuity plan either with the same insurance agency or this amount is directly transferred to another insurance agency of your choice where it is locked in an immediate annuity plan. 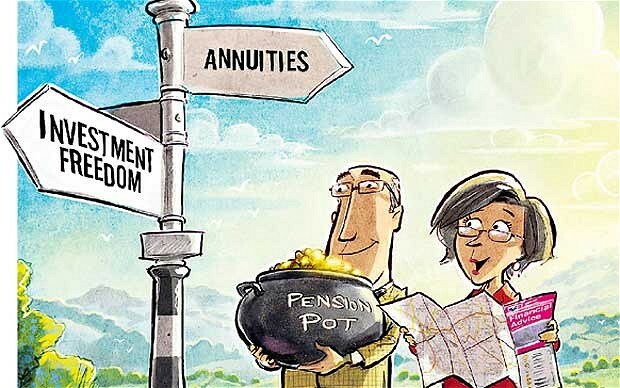 Rules are being framed such that the annuity policy has to be locked in with the same insurer you invested the pension policy in order to procure loyalty benefits. I would like to end this article with the famous saying "Chase Your Passion Not Your Pension" .Ones last days on earth should be spent on catching up on all those good things which one has missed in ones youth due to a hectic schedule. "Forty Is The Old Age Of Youth. Fifty Is The Youth Of Old Age".IndianMoney.com advocates that each and every youthful citizen of our country should plan for his or her retirement and not leave such an important decision to chance. I would like to remind you that the team of Financial Planners at IndianMoney.com are always there for you to plan your retirement needs in a most effective and efficient manner. 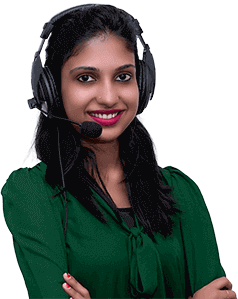 You can explore this unique Free Advisory Service just by giving a missed call on 022-6181-6111.